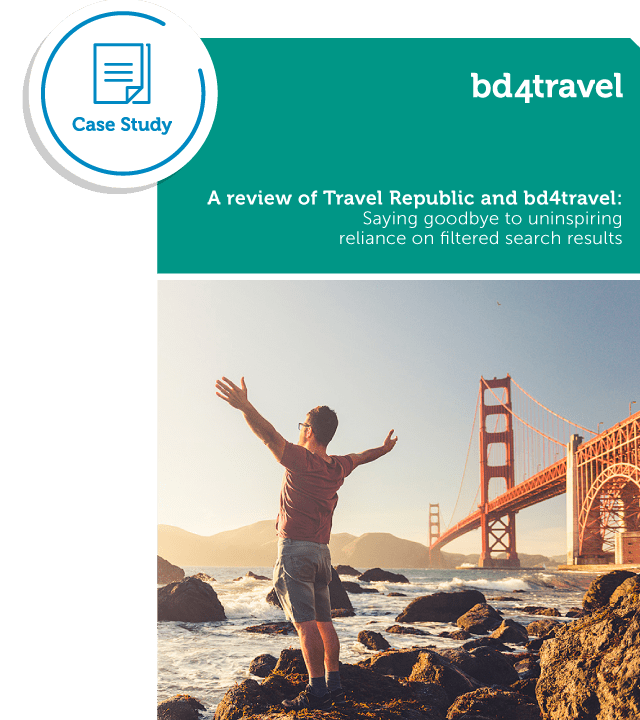 bd4travel has helped Travel Republic move to a business model of relevancy. By building real-time customer profiles and matching them to products, way more relevant results can now be presented to each individual customer. Through different bd4travel personalisation modules, the joint implementation project has significantly improved click-through rates, conversions and average booking value.